FLORIDA VENUES – Miami, Tampa, and Orlando Wedding Band. Our high-energy 13-piece Florida wedding band will ignite your party! In an industry where everyone claims to be the best, and they have all apparently been “voted” the top Florida wedding band, one band chooses to leave the exaggerated claims to the other guys. After all, the proof is ultimately in the product. We pride ourselves on being a set group of the same well-rehearsed and polished performers at every event. We are a single band dedicated to the success of your wedding, corporate event, gala, fundraiser, or party. Our high-energy 13-piece “super band” is truly a one of a kind grouping of professionals, all carefully chosen for their individual talents and the creation of The Headliners Band ™. We feature five amazing front vocalist/entertainers who are the real deal; great singers, great dancers, and true performers. 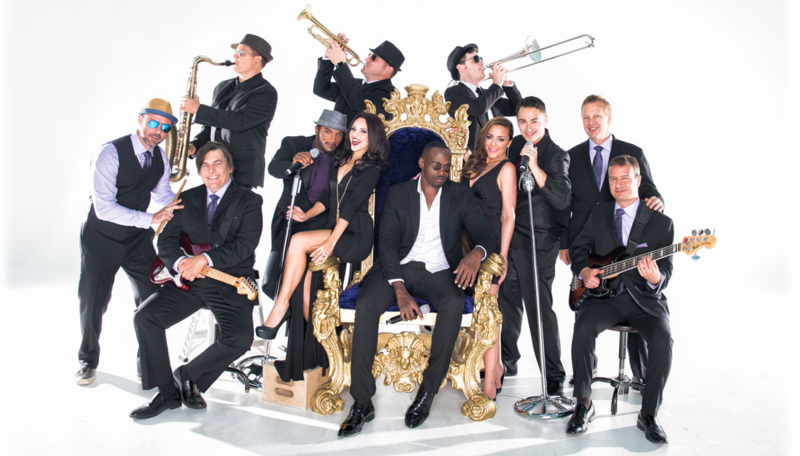 We have a world class group of professionals backing them up in the rhythm section, and a sizzling brass section. Then add in hard work and dedication, long rehearsals (and a dash of fun! ), and the rest is history! We are a Florida wedding band available for weddings and corporate events throughout the State of Florida and nationally. Some of our regular areas include Key West, Miami, South Florida, Fort Lauderdale, Boca Raton, Palm Beach, Naples, Sarasota, Marco Island, Fort Meyers, Orlando, Central Florida, Tampa, St. Petersburg, Clearwater, Daytona Beach, St. Augustine, and Jacksonville. We also do our share of traveling out of the Country, and are available just about anywhere. Florida Wedding bands, Miami wedding bands, South Florida wedding bands, Orlando wedding bands, Tampa wedding bands, Florida live party band, music and entertainment. For best results click on HD and select 1080p, then open to full screen and play.